A copy of Ministry of Finance, Department of Expenditure’s OM No. 8-23/2017-E.IIIA dated 28.9.2018 on the above subject is enclosed for information and compliance. These instructions shall apply mutatis-mutandis on the Railways also. S. No. No. and date of notification issued by Ministry of Finance’s O.M./Orders No. and date of corresponding notification issued by Ministry of Railways (Railway Board). 1 Central Civil Services (Revised Pay) Rules, 2008 notified vide G.S.R. 622(E) dated 29.8.2008. 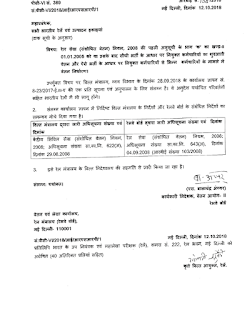 Railway Services (Revised Pay) Rules 2008 notified vide G.S.R. 643(E) dated 04.09.2008 (RBE No. 103/2008). 3. This issues with concurrence of the Finance Directorate of the Ministry of Railways. Deputy Controller and auditor General of India(Railways), Room No. 222, Rail Bhawan, New Delhi (with 40 spares). 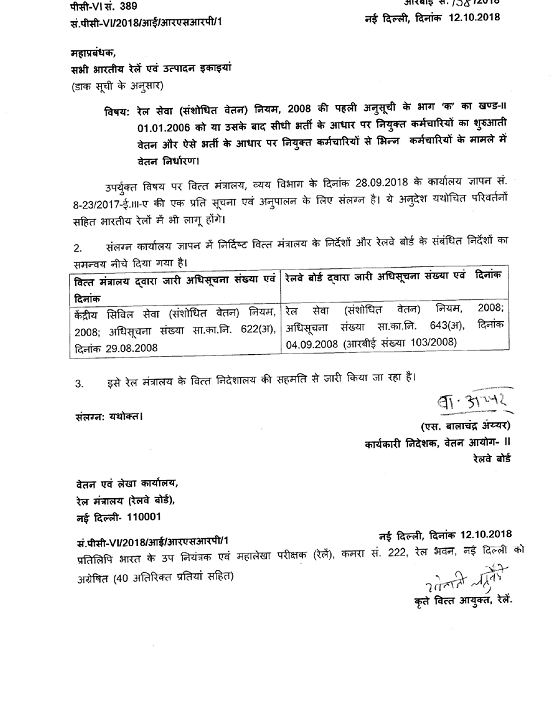 Railway Services(Revised Pay) rules, 2008-Section II of the Part’A’ of the First Schedule thereto- entry pay for direct recruits appointed on or after 1.1.2006 and pay fixation in the case of persons other than such direct recruits.